Established in 2013, Below Decks is a family run business specialising in bespoke marine carpet and decking solutions. We provide a personal service including templating, cutting, edge binding, boat carpet and synthetic decking solutions. We regularly work on vessels from the following manufacturers: Bavaria, Beneteau, Cobalt, Dufour, Fairline, Hallberg Rassy, Jeanneau, Malo, Monterey, Najad, Nimbus, Nordhavn, Princess, Regal and Sunseeker. 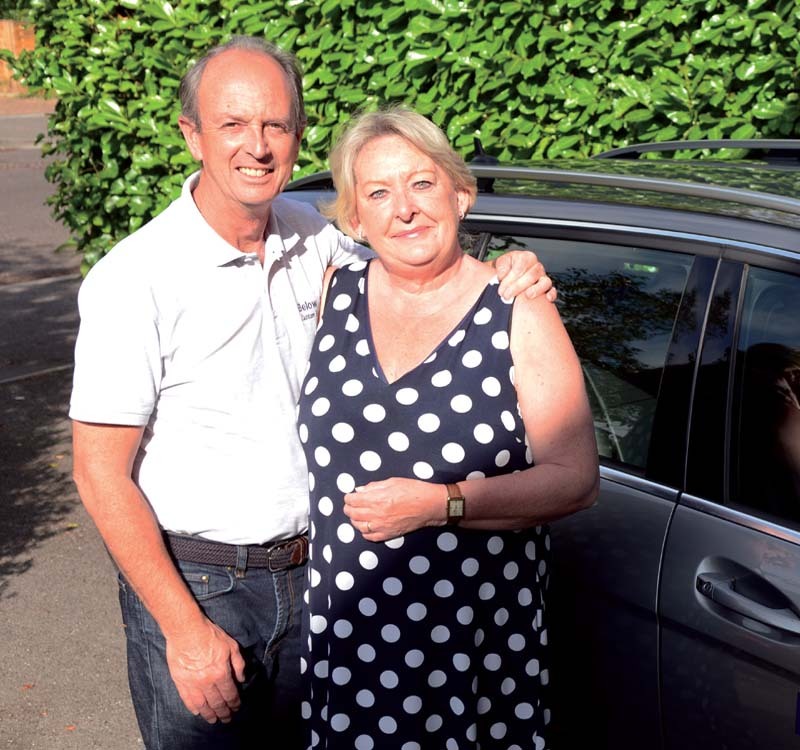 The team of Jan and Nigel Oates set up the company to fill a niche within the market to provide the highest quality of service and product at an affordable cost, keeping clients fully informed at every step of the way. As boat owners ourselves, we feel that this is the level of service that we would like to experience. Each project would begin with the use of existing carpets as templates, or with the process of making templates from which the carpet is initially cut. The boat carpet would then undergo a pre-fit before the edges are bound. The carpet would finally be fitted to the boat using snap studs if required. We also offer non-slip underlay backing for projects involving loose-laid carpets. This prevents stress on the fasteners, and provides greater acoustic and thermal insulation. We also regularly provide fully fitted carpets. We work at marinas along the south coast, including Hamble Point, Port Hamble, Mercury, Swanwick, Beaulieu, Lymington, Gosport, Portsmouth, Poole and Weymouth and all points in between! Our clients include private owners, brokers, importers, refurbishment companies and manufacturers. We regularly fit carpets for Berthon, Landau, Princess Service, Offshore Powerboats, Nordhavn, Inspiration Group, Universal Yachting, Marco Marine, Gibbs Boats and Discovery Yachts among many others. Below Decks began in 2013 when we were unable to find a specialist company to carpet our own boat, Lady J. All boats are different with complicated shapes, but Nigel’s previous career in the RAF as an aerospace engineer has given him an eye for precision and detail and his fitting skills are legendary! Our aim is to provide a tailor-made personal service to all clients depending on their needs; one that keeps them fully informed as the project proceeds, and that provides those finishing touches to make your boat a home from home. As boat owners ourselves we totally understand how important your haven on the sea is to you and hope that we will have the pleasure of working with you in the near future. Below Decks is based near Poole on the South Coast of the UK. We offer a fully fitted service between Portsmouth, Hampshire in the east to Weymouth, Dorset in the west. If your boat is located elsewhere in the UK then we can make new carpets using your old existing carpets or from a template you send us. We can post new carpets to anywhere in the UK. We are happy to offer advice for any of your custom boat carpet and decking requirements, simply give us a call or drop us an email to see how we can help.